The dairy industry plays an important role in the agricultural sector in its quest for food security and self-sufficiency as well as securing stability and improved quality life for the Filipino people. 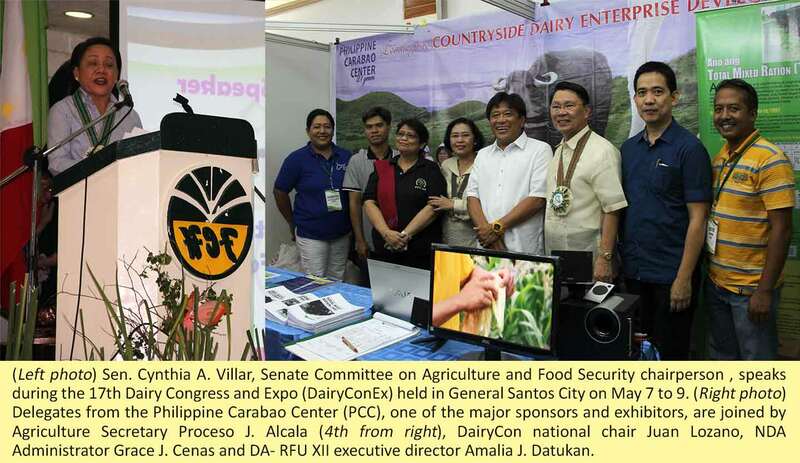 This was emphasized by Senator Cynthia A. Villar, chairperson of the Senate Committee on Agriculture and Food, in her keynote address during the opening ceremony of the 17th Dairy Congress and Expo (DairyConEx) held at the Family Country Hotel in General Santos City on May 7 to 9. Villar pointed out that the dairy sector is the fastest growing component of the domestic livestock sector in 2013. She said that this development was due to the interventions carried out for the industry as it continues to gain support from the private sector and the government. “I agree that dairying contributes to increasing farm income and consequently in reducing rural poverty incidence, enhancing household food security and improving the nutritional status of farming families, communities and the country as a whole,” she declared. She encouraged the attendees to recognize the support of the government through these agencies which are dedicated to provide quality services and livelihood opportunities to farming communities. Sen. Villar promised continuous support to the dairy industry. “I have reviewed the Dairy Roadmap and I am impressed with the objective that you have set for yourselves. I am more than willing to provide legislative support to the lead agency, the National Dairy Authority, and all the implementing agencies, in my capacity as the chairperson of the Senate Committee on Agriculture and Food in the same manner that I have been helping other agriculture-related industries and sectors (from rice, onion, garlic and coconut farmers to fisherfolk and halal food producers)”, she said. Relevant to this, the Department of Agriculture (DA) is developing a new dairy roadmap for the industry in a bid to further improve its production and market competitiveness. “We are currently doing nationwide consultations in the formulation of the roadmap that will center on the expansion and strengthening of cooperatives and other private entities engaged in the dairy production,” said DA Secretary Proceso Alcala in his message during the opening program. 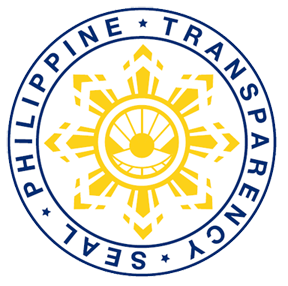 The plan will serve as a guide for the implementation of the DA’s programs for the industry through the NDA, he said. Aside from strengthening the support to dairy cooperatives, Secretary Alcala also said that additional funds will be allocated next year to support the buy-back program for cattle and carabaos with proven performance to conserve the best quality genetics. On the other hand, Juan Lozano, national chair of the Dairy Confederation of the Philippines (DairyCon), said that the DairyConEx is an integral part of efforts geared toward raising productivity and incomes of dairy farmers, augmenting the base herd, creating new market niches, and accelerating the realization of a self-reliant countryside. The DairyConEx is an annual activity that DairyCon undertakes to serve as a venue for the exchange of information on experiences, particularly on innovations and breakthroughs in the areas of production, processing and marketing as well as cooperative development, Lozano explained. Highlights of the event included product exhibition, a live animal show and technical presentations. The PCC, as one of the major sponsors and exhibitors during the event, highlighted in its display the dairy products of PCC at University of Southern Mindanao and Milka Krem at the PCC national headquarters in the Science City of Muñoz as well as best practices in feed nutrition and forage. Played in the PCC exhibition area was a how-to-video on silage-making, which features Isagani Cajucom, a dairy farmer-cooperator based in Lupao, Nueva Ecija. A recipient of a silage-making project, Cajucom participated in the dairy congress as part of his efforts to promote the commercialization of silage production. PCC experts Dr. Daniel Aquino and Dr. Arnel del Barrio presented and discussed topics on best practices in calf-rearing and feed nutrition and forage, respectively. Erika Nalliw, PCC marketing point person, also discussed the marketing aspects of dairy buffalo products during the plenary session. The 17th DairyConEx was hosted by the Northern Mindanao Federation of Dairy Cooperatives (NMFDC) in collaboration with the provincial government of Sarangani and the city government of General Santos. The three-day event was attended by top government officials, foreign dignitaries and industry players from various parts of the country.